Introducing a fresh new farmhouse design located in sought-after West Bellevue. This new luxury home offers over 4,600 SF and features 4 bedroom suites plus a den. The chef’s kitchen is equipped with professional grade appliances and features a large center island and a separate prep-kitchen. The expansive covered outdoor room is designed for year-round living, featuring heaters, a fireplace, TV, BBQ. The flexible open-concept floor plan is tailored for modern living, featuring a large great room that flows seamlessly into the kitchen and outdoor room. This state of the art home also features an electric vehicle charging station in the 3-car garage. 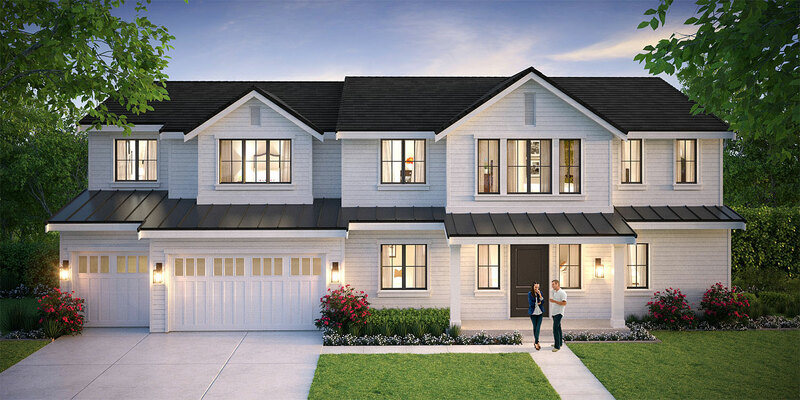 This new luxury home is situated in the heart of West Bellevue, located minutes from downtown Bellevue, Bellevue Square, and the numerous renowned parks that the city has to offer. The award winning Bellevue school’s are also just a short drive away! This luxury home is being offered for $3.8M and will be completed in Fall ’20.